A coalition of neighborhood groups from around the Carrollton area and beyond will hear from candidates for the open District A seat on the New Orleans City Council at a forum tonight at St. Mary’s Dominican High School. 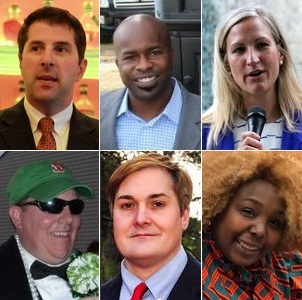 All six candidates — Joe Giarrusso III, Tilman Hardy, Aylin Maklansky, Dan Ring, Drew Ward and Toyia Washington-Kendrick — have confirmed their attendance at the event, organizers say. The forum will begin at 6:30 p.m. Thursday, Sept. 14, at St. Mary’s Dominican High School at 7701 Walmsley Avenue (with secure parking in the lot off Burdette Street behind the school). It is organized by the Carrollton Area Network in partnership with the Committee for A Better New Orleans, the Mid-City Neighborhood Organization, the Friends of Lafitte Greenway, the Preservation Resource Center, Maple Area Residents Inc., Carrollton-Riverbend Neighborhood Association, Central Carrollton Association, North West Carrollton association, Hollygrove; Fontainebleau Improvement Association; Hollygrove-Dixon association, Palm-air and Carrollton United. Moderators for the District A forum will be Oliver Thomas, host of the Morning Show on WBOK, Charles Maldonado of The Lens and Robert Morris of Uptown Messenger.